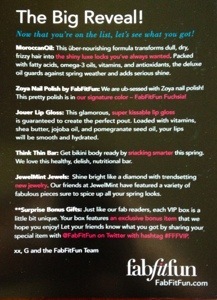 FabFitFun VIP Box is a new quarterly beauty and fashion subscription box. 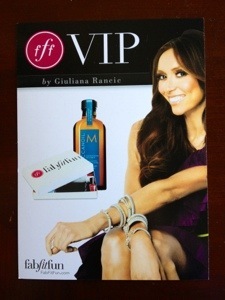 The cost is $49.99 (including shipping) every three months, and it contains hand-selected full size and premium items in beauty, fashion, fitness, and wellness from Giuliana and the FabFitFun team. Very Exciting! My FabFitFun VIP Box has Arrived!! Look at how nicely everything was packed in the custom dividers for the box! I really think these are cute, I love the beach-y ocean colors! 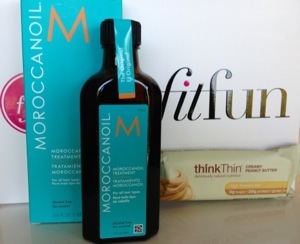 I have only used this once, but my hair felt smooth and silky and awesome! This has twenty grams of protein and is pretty good , I would eat these on a regular basis!! Awesome! 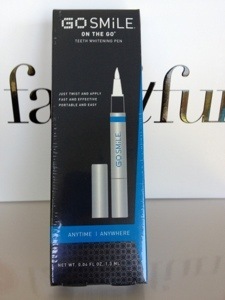 I have been wanting to try this brand, and although it is not the full system, I love that it is easy to take anywhere!! This is a great summer polish, it is bright and has a great shimmer to catch the sun light! I really like this lip gloss, It feels smooth and moisturizing (not sticky) with just enough sparkle to leave a hint of glitter for shine. The approximate value of the first quarterly FabFitFun VIP Box is $139.97! This is AMAZING value for the $49.99 cost of the box! I am very pleased with each and every item in this box, I just wished it was on a more frequent schedule (maybe 6 times a year?) Overall, this is a great box and I look forward to the arrival of Summer’s box in 3 months!! I’m really glad I didn’t buy this. >ww< Thanks for the review! You made me feel better about not buying this because the stuff just isn't my style.